Maybe you have no influence over the quality of air when you leave your house, but you do have complete control over the environment within your four walls. Changing the air temperature is as easy as bringing up or lowering the thermostat, however, you might need to do some more work to get the quality of air up to speed, including lowering the level of dust in your house; here’s a three part tactic to get you going. To get free of dust, you’ll have to get rid of several things. First, those knick-knacks will need to go. Objects cluttering every surface area in your house only compound the dust problem. Pare them down, and you'll be surprised by just how much easier it is to clean, and how considerably cleaner the air is. Next on the list will be the closets. Sort through your set of clothes and store all the items that you aren't currently wearing before donating the things you don't need. When you're over and done with that task, proceed to the closet floor. Keep this space empty, because this is where most of the dust is produced in your house by way of the shedding of clothing fibers; a clear floor is much easier to vacuum. Thoroughly clean each room utilizing a micro-fiber or electrostatic cloth. Work from top to bottom, finishing with the vacuum, ideally one with a good filter. Change all bed linens every week, for the reason that the linens will likely be full of dead skin cells, which contribute significantly to dust. When your house is clean, keep it up! 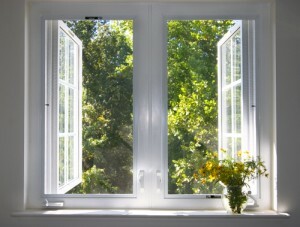 Great habits create great results, and one of the greatest will undoubtedly be cleaner interior air. The quality of your indoor air is essential towards your level of comfort and great health. Should you have any concerns concerning your indoor quality of air, or any other element of your HVAC system, contact the experts at Sandium Heating & Air. We've been proudly servicing the greater South Bay area for over a decade, and our mission is to keep you more comfortable and breathing easier.